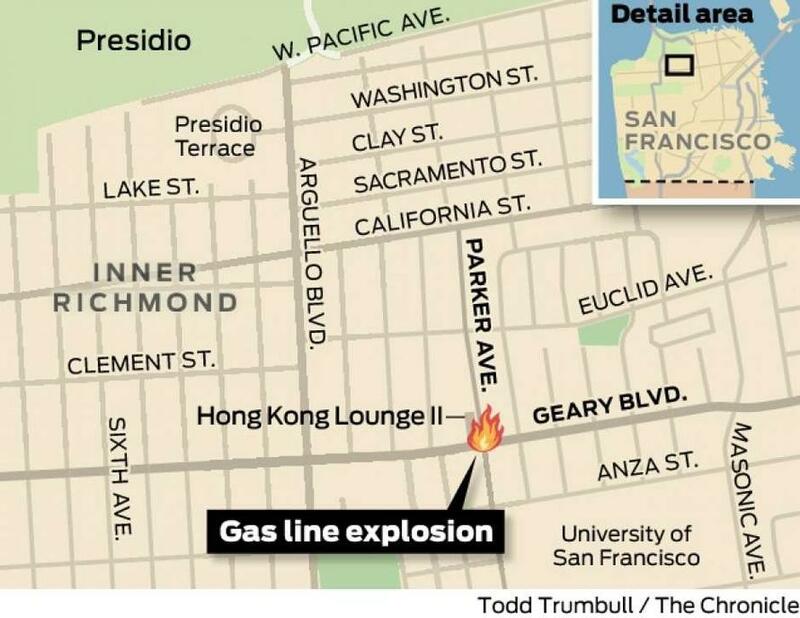 The fire erupted just before 1:30 p.m. in front of Hong Kong Lounge II by the intersection of Geary Boulevard and Parker Avenue, officials said according to the SF Chronicle. 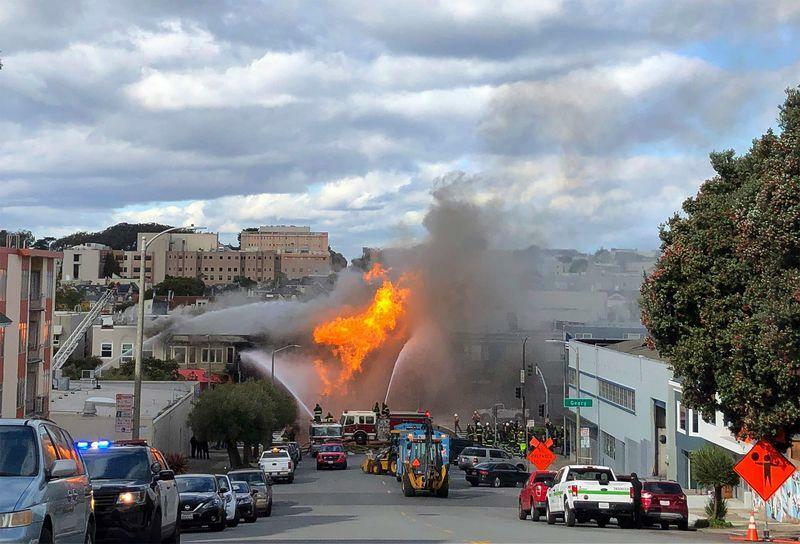 The fire triggered an evacuation order for people within a block of the site on Geary Boulevard, a major artery that leads into downtown San Francisco, according to the San Francisco Fire Department. According to Bloomberg, which quoted San Francisco Fire Chief Joanne Hayes-White, eight workers near the explosion have been accounted for and no injuries were reported. Eight construction workers, hired by an unidentified third-party contractor, were digging in the ground to install fiber optic cables when they hit a gas main, Hayes-White said. PG&E’s stock plunged as much as 6.3 percent following this latest accident which threatens to pile up even more legal bills on the insolvent utility, which in addition to wildfire costs, is still dealing with the consequences of the San Bruno gas pipeline explosion that killed eight people and leveled 38 homes. "I’m confident that it’ll be contained soon,” Hayes-White told reporters at the scene. “As soon as the gas leak is tamped down, we’ll have it under control." The alternative, of course, being that a section of San Francisco burns down is probably too dire for PG&E's management to even consider. Hayes-White described the explosion and ensuing fire as extensive but noted that it’s “not as extensive” as the San Bruno blast. For its part, PG&E said on Twitter that it’s working with first responders and urged people to avoid the area. Bloomberg adds that at least five PG&E workers could be seen digging into the pavement in a crosswalk near the flames more than an hour after the blast. Helicopter footage of the fire scene showed a blackened backhoe near the source of the flames. Meanwhile, the NTSB didn’t immediately say whether the agency is sending a team to the incident, while the U.S. Transportation Department’s Pipeline and Hazardous Materials Safety Administration, which regulates pipeline safety, said it was gathering information on the blast to determine whether it will dispatch investigators. “PHMSA recognizes the seriousness of this incident and appreciates the work of the San Francisco Fire Department and all first responders,” the agency said. 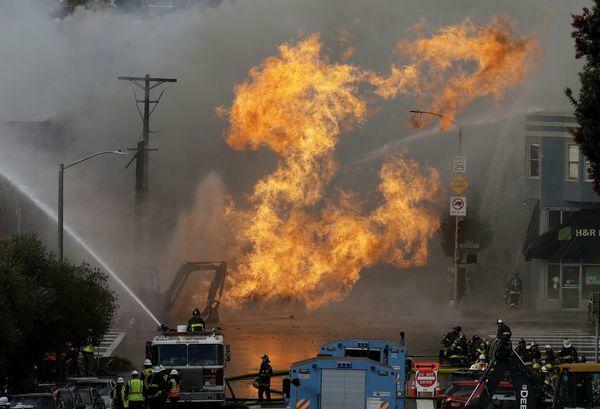 In the six years after the San Bruno explosion, PG&E installed more than 230 automatic or remote-controlled valves on its natural gas network, so workers wouldn’t need to manually shut off the flow of gas in an emergency. The company also replaced all the remaining cast-iron pipes in its system with modern plastic and steel pipes, Bloomberg adds. Unfortunately, today - just days after the company's bankruptcy filing resulting from its sloppy operations and lack of precautions - it appears that whatever PG&E did was not enough. The good news for PG&E, and we use the term loosely, is that it has already filed for bankruptcy. So for all those who just suffered millions in losses, get in line.